Do you want to create a new Template, without needing to generate a new Campaign, then save it and be able to re-use it for other shipments? The Templates are a great help in creating fabulous Campaigns, without prior knowledge of Programming and Layout. In Doppler you can find great designs grouped by Categories that will make your pieces look really professional. 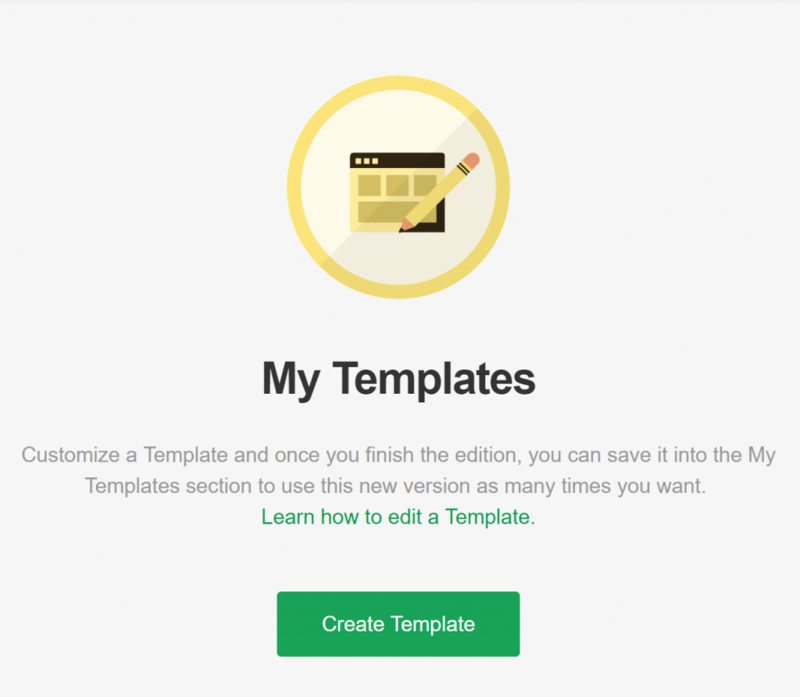 Continue reading this article and discover the step by step to manage your Templates in the most efficient way. To create a new Template, you must first log into your Doppler account. Haven’t one yet? You can create it for free here. Once you access the application, you must click on My Templates. You will be driven to the next screen, where you must click on Create Template. Once there, you can choose the Template that best fits your needs and goals. Remember that you can filter them by Categories by clicking the dropdown. When you position yourself on the Template, you will see that the Create Campaign option is enabled. If you click there, you can configure all the data of your shipment from scratch, and once you reach the content definition section the Editor will open with the Template you had selected ready to be customized. If you have doubts about how to use this tool, do not miss this post with all the keys. When you finish the edition and click on Next, you will be able to see your already saved Template so that you can edit it and reuse it whenever you want. If you just want to edit a Template because you have already set up your Campaign in advance, you must click on the three points located at the bottom right, and click on the Edit Template option. 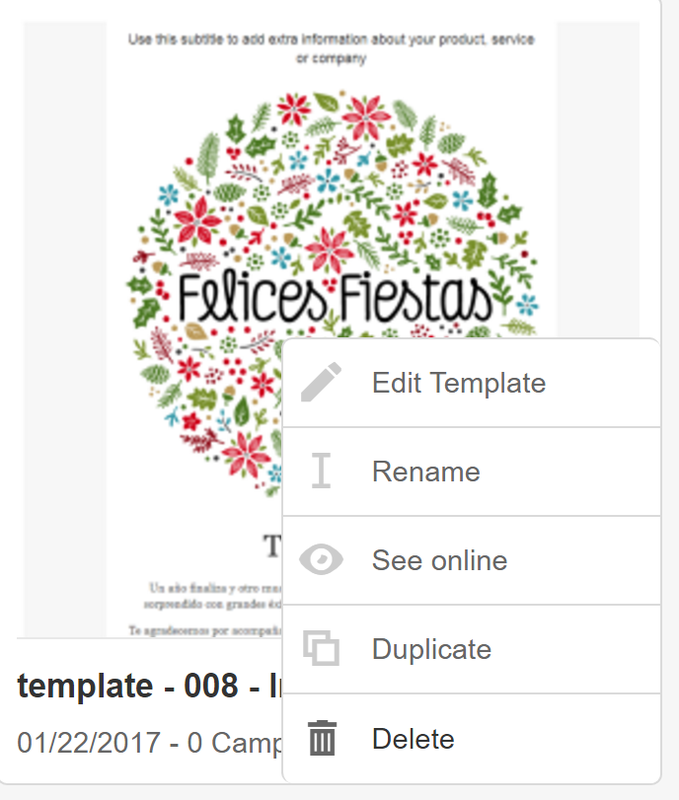 You will be able to edit the Template, duplicate it, rename it, delete it or view the online version. Ready! That’s all you have to know to create, edit or duplicate a Template directly, without generating a new Campaign. Easy, right? In Doppler everything is that simple and intuitive. Good luck on your next shipments!